That picture above fills me with great joy because for me that's one of the nicest shepherds pies I have eaten in this country. This weekend myself and Joanne were staying in Kinsale at the Blue Haven which I will be reviewing over the coming days. However when you mention Cork to Joanne or me we both know within an instant where we will be eating lunch that day. Farmgate is one of those places we always return to and it just so happens that it is in the English Market, which is excellent in itself. There is so much good food on sale there, I would go as far to say its my most favourite thing about Cork, even the Queen of England loves it! I love Farmgate though, its always packed with diners and has such a lovely buzz about the place. In fact knowing its always packed we made sure to book a table this time round which turned out to be a very wise stroke on our behalf. I also inquired was the shepherds pie on the menu as we had been down in Cork in the summer and it wasn't on the menu at the time, to say I was sulky after that would be an understatement. 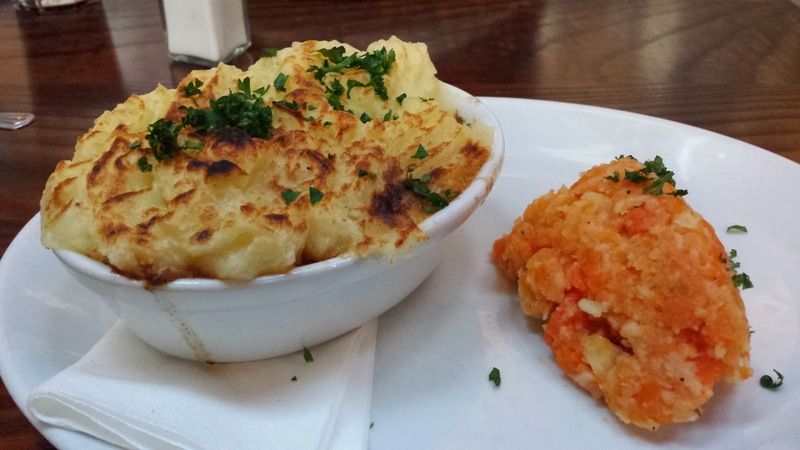 Now for the pie itself, fluffy mash and delish mince, its heavenly eating. Looking around at other diners their meals also looked fantastic, and part of me wishes I was in Cork more often as I would try all of their other dishes. I cannot stress how much you should go here, their food is incredible.